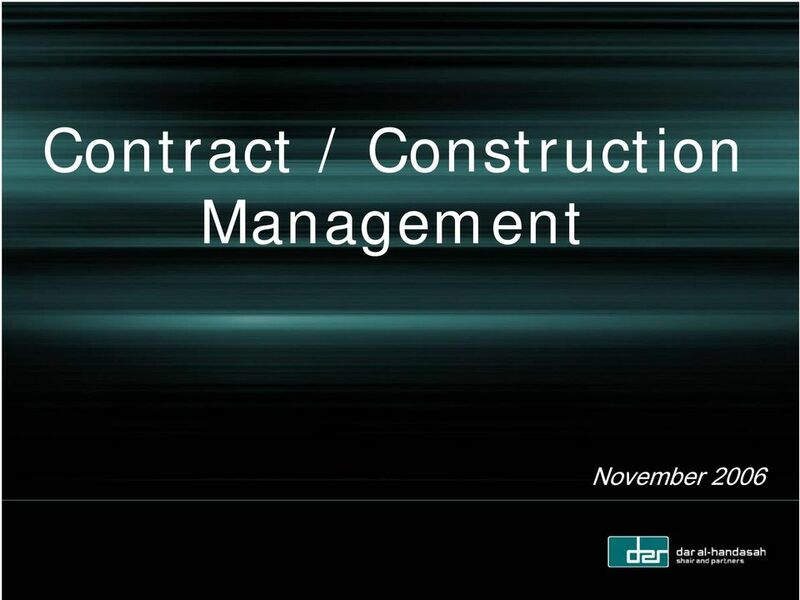 Download "Contract / Construction Management. November 2006"
22 II. 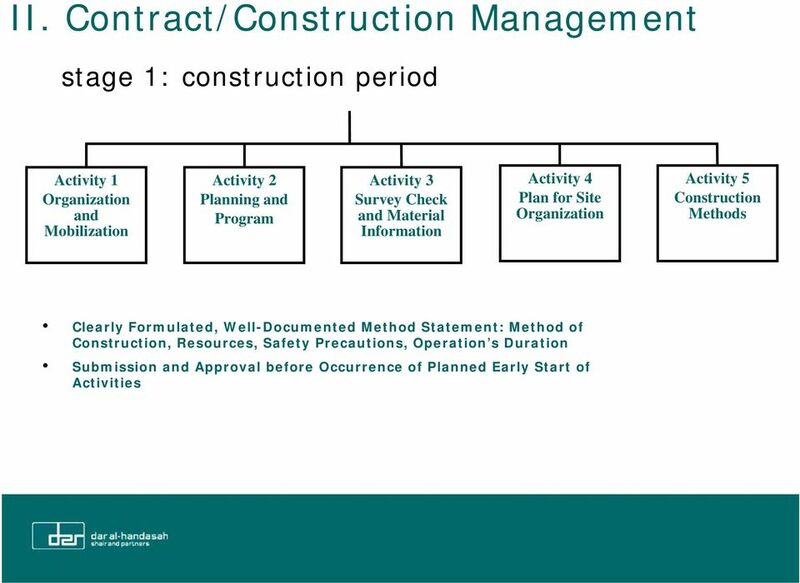 Contract/Construction Management stage 1: construction period Activity 1 Organization and Mobilization Activity 2 Planning and Program Activity 3 Survey Check and Material Information Activity 4 Plan for Site Organization Activity 5 Construction Methods Activity 6 Time Control Activity 7 Cost Control Activity 8 Quality Control Activity 9 Site Meetings & Record Keeping Daily Record of Progress of Works Kick-off Site Meeting: Procedures, Means of Communication, Methods for giving Approvals, Instructions, Variation Orders, etc. 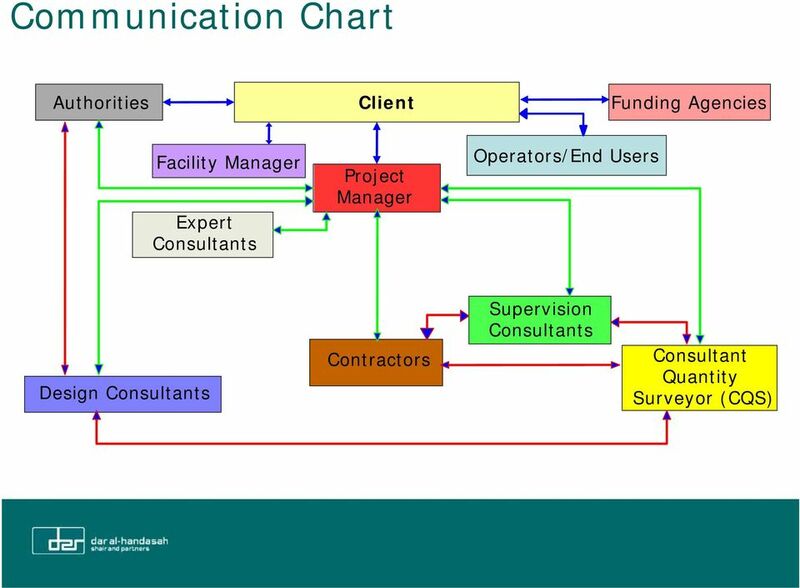 Regular Site Meetings: Monitor Performance and Progress based on Program, Discuss Problems, Coordination Issues, etc. 33 III. 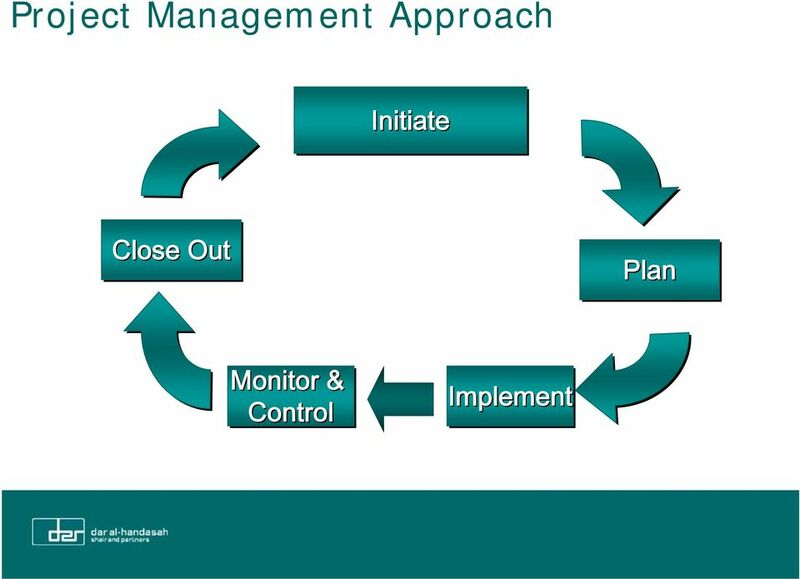 PROJECT CONTROLS Scope - Continuous monitoring of actual project performance (Time, Cost, Quality). - Assessing performance and any needed corrective/preventive action. 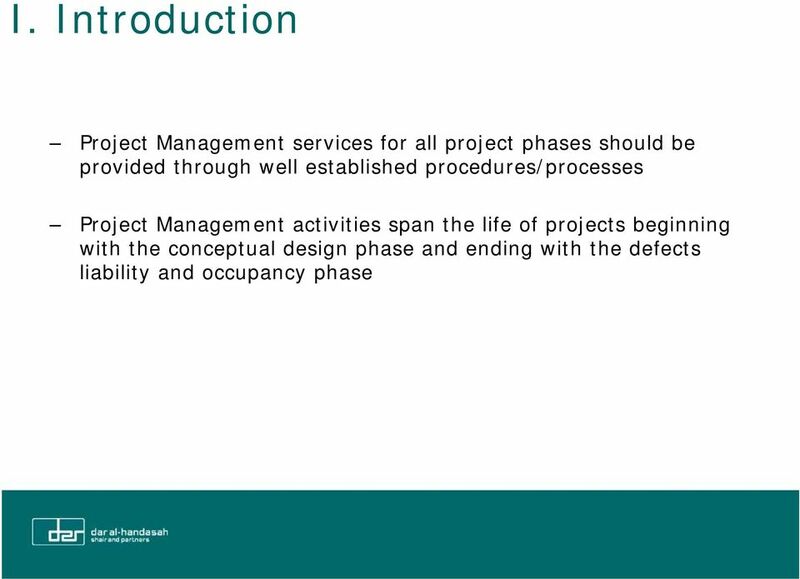 - Maintaining accurate and updated information base through the project s cycle. 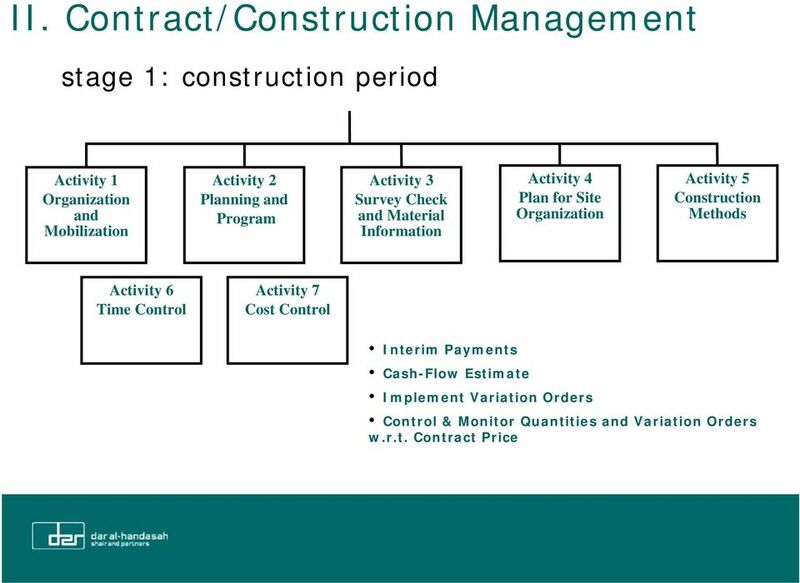 34 Project Controls Time & Cost - Review time schedule/cash-flow estimate. - Review material submittals/shop drawings schedules. - Record delays and advise on recovery measures. 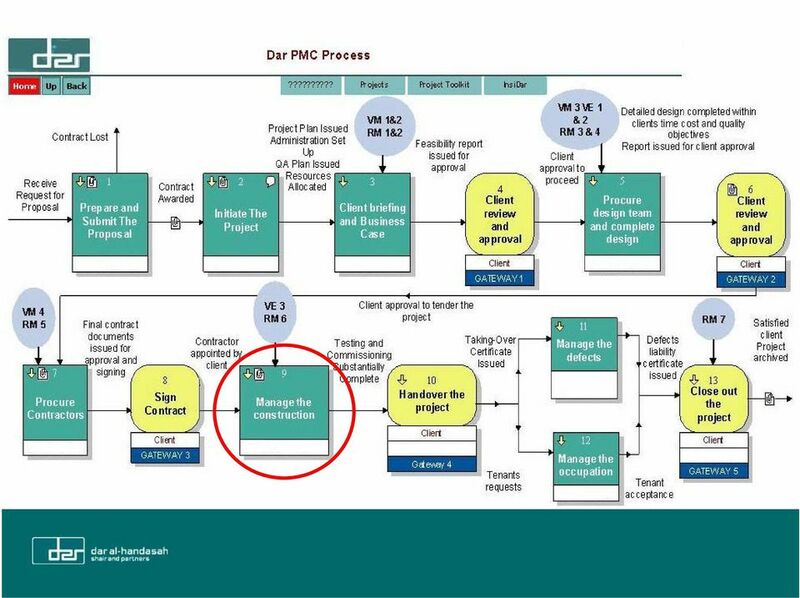 38 PLANNING & SCHEDULING SCHEDULE COMPRESSION Shortening the Project Schedule duration without reducing the project scope which might increase the project cost. 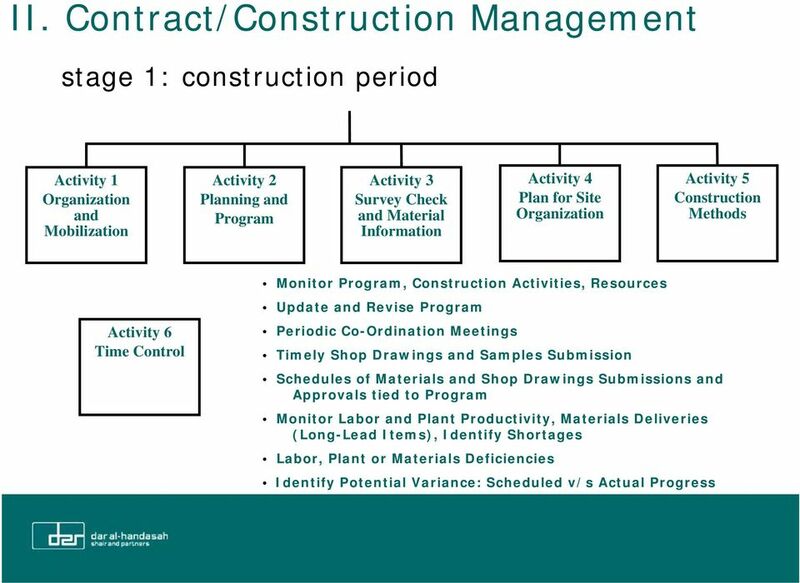 SCHEDULE UPDATE Starts with monitoring of the project activities, collecting key progress information that would be translated into the following at the end of the reporting period (data date, time now or as of date): Actual Start of progressing/completed activities Actual Finish for completed activities % complete/remaining duration/expected completion date for progressing activities The above information is entered into the Update Schedule and the schedule calculation performed. The Updated Schedule is compared to the Baseline Schedule The Critical Path may change. 41 ESSENTIAL FACTORS Project Calendars A calendar of working days or shifts that establishes those dates on which activities are worked, and nonworking days. Nonworking days include holidays. 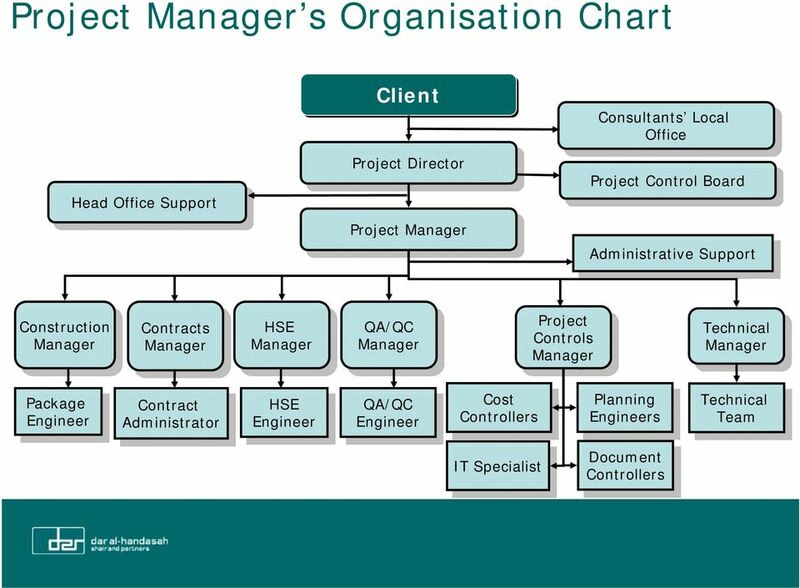 A project can have a unique calendar or multi-calendars. 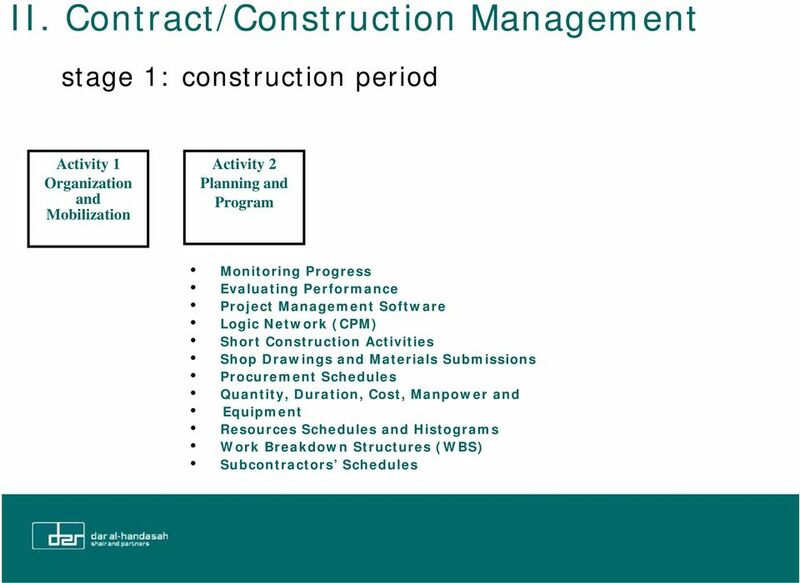 Example: Activity with duration of 18 working days. 55 Project Documentation - A referencing system for all project documents is necessary to achieve proper document control and archiving. - Referencing system applies to all documents and correspondences. 58 IV. 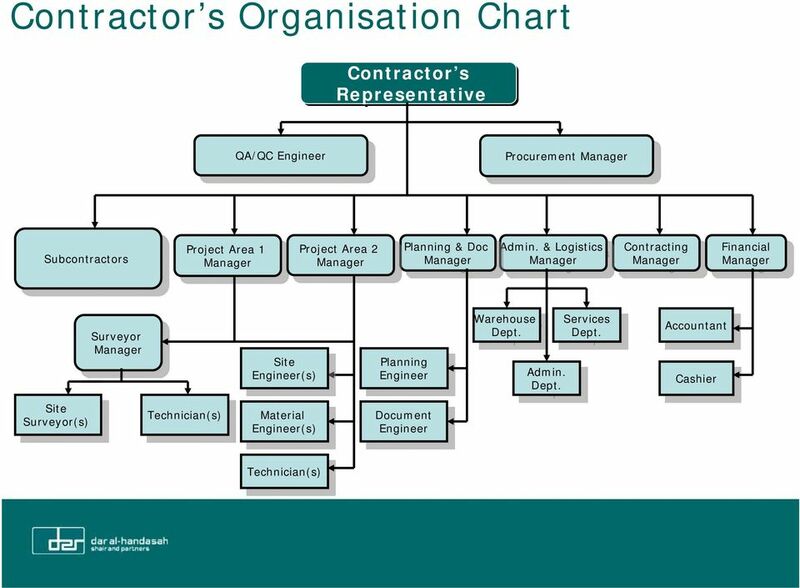 Related and Arising Issues - IRAQ Contract Definition of Employer/Engineer/Contractor relationships, especially that the independent role of the Engineer is not quite common in Iraq. Resolution needed through policy and exposure through seminars and workshops. 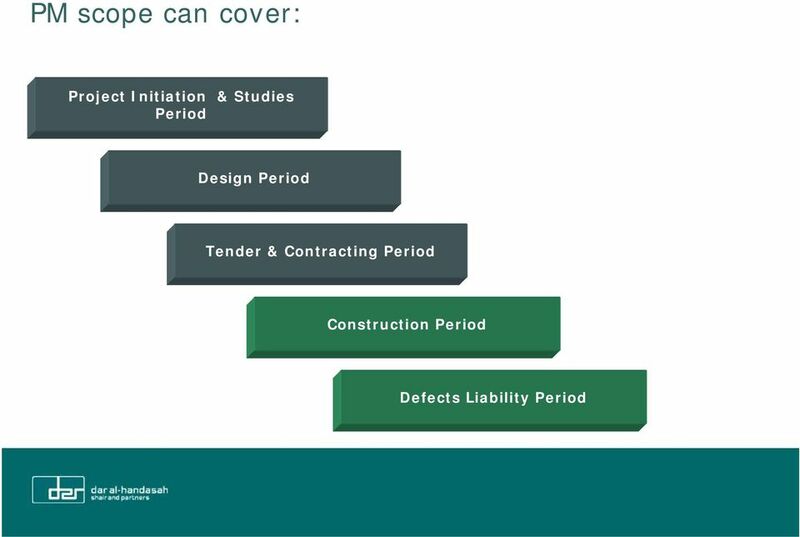 Respect of design review phase in design-build contracts to avert problems that hinder the project s progress during construction. 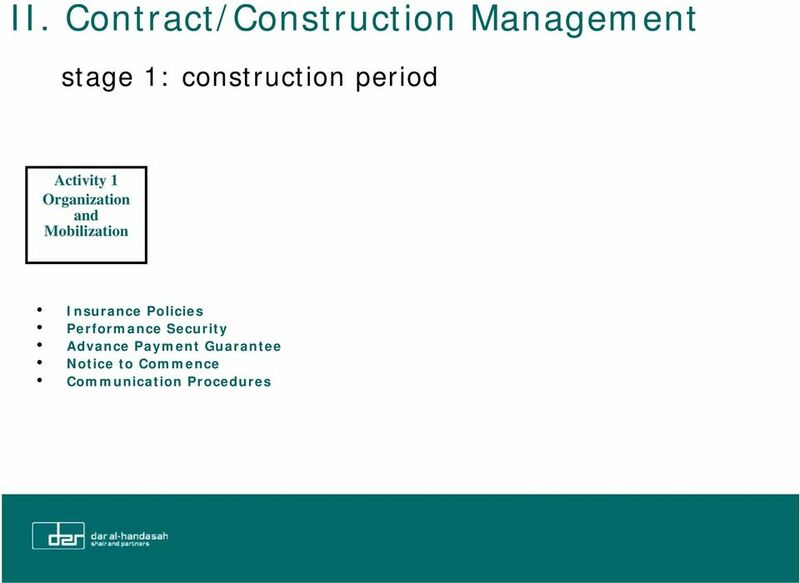 Respect of the maximum share of works that can be subcontracted as in the Conditions of Contract. 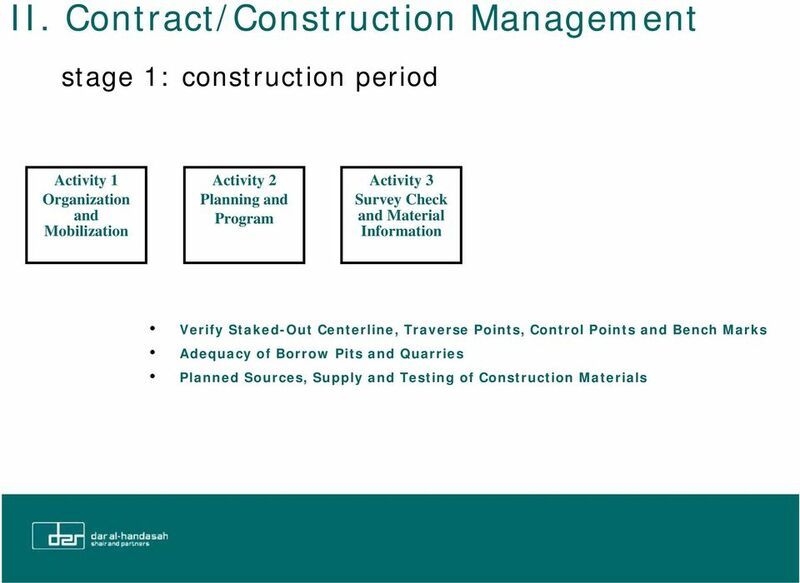 Adherence to Contract requirements for approval of sub-contracts. Familiarity with FIDIC/World Bank Contracts. 59 IV. 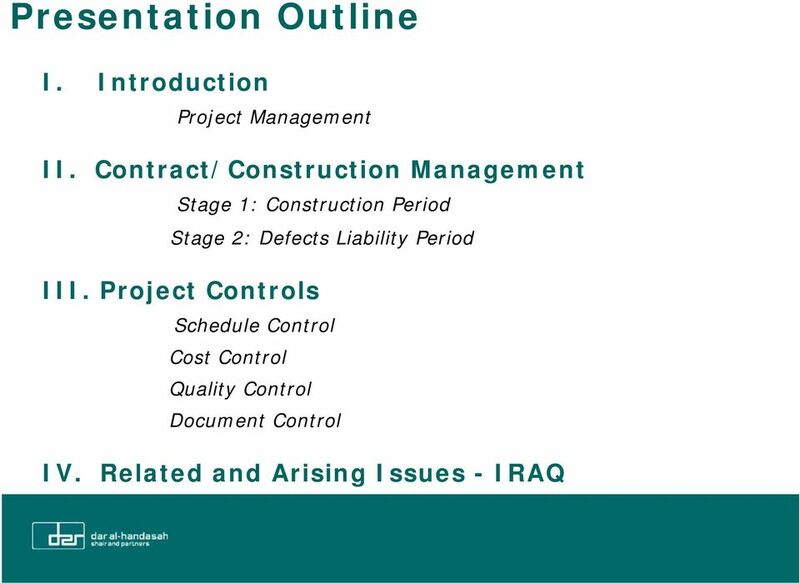 Related and Arising Issues - IRAQ Progress & Cost Project schedule to be properly established and regularly updated by experienced planners. Response to fast track of construction projects is needed. Adequate human resources and experienced staff to cover projects needs. 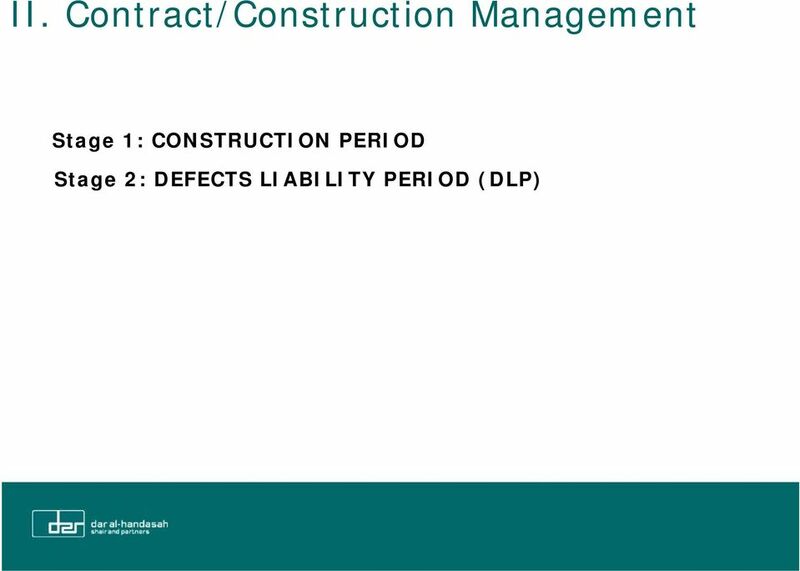 Delays in procurement of long-lead items. Delays in possession of parts of Site that fall within sensitive areas. 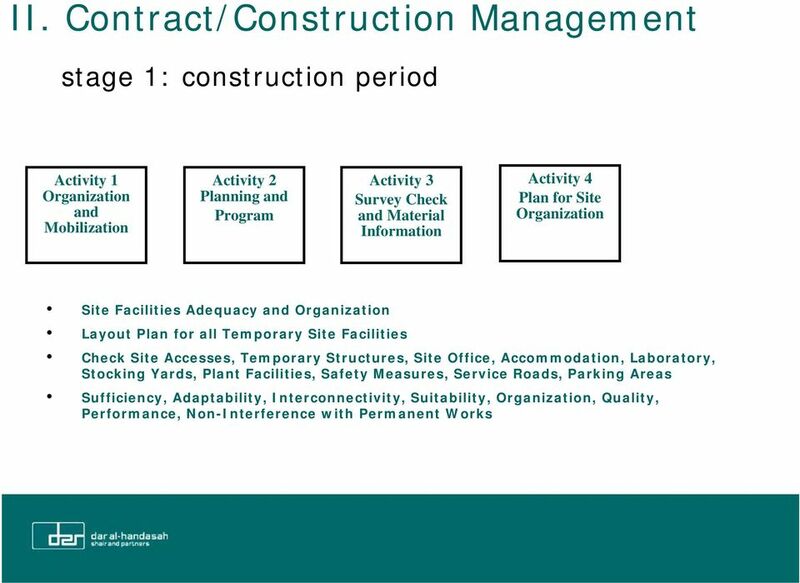 Expediency to obtain permits. 60 IV. 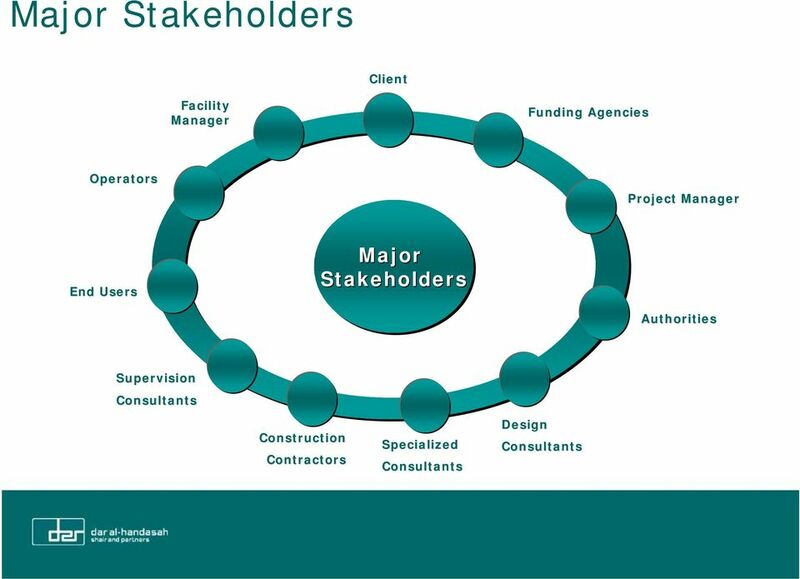 Related and Arising Issues - IRAQ Progress & Cost Centralization of decision-making on government construction projects. Delays in processing certified payments. Monthly submittal of progress reports. 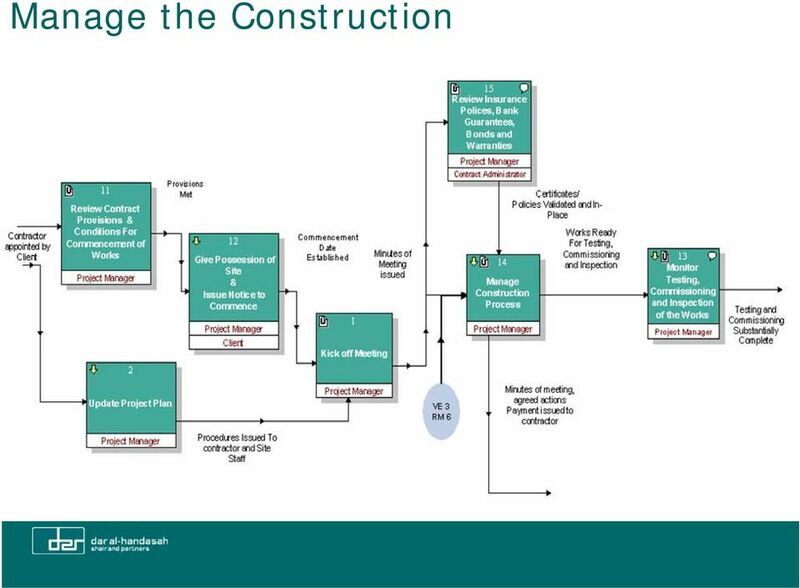 Long procedures for approval of variation orders. Financial back-up from Contractors head offices. Cash Flow regular updates. 61 IV. Related and Arising Issues - IRAQ Quality Institution of comprehensive quality plan. 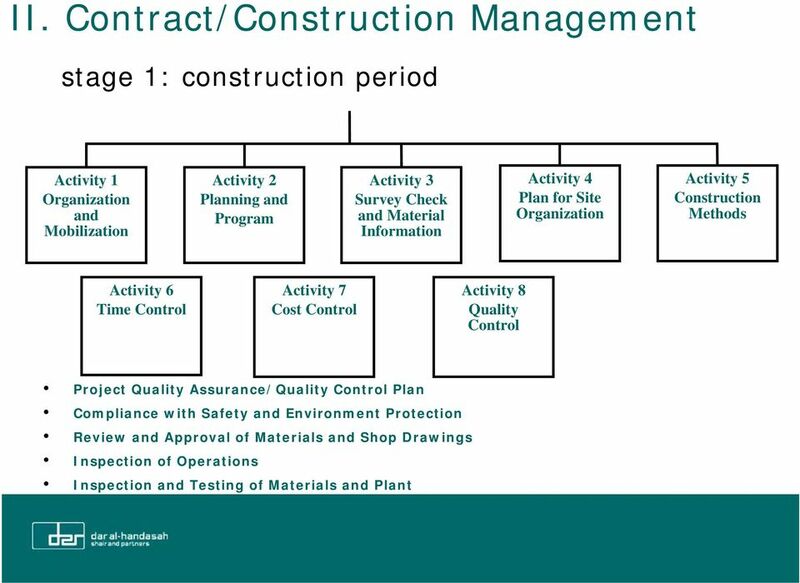 Application of Quality Control procedures: - adherence to quality procedures - materials conformity to Specifications - difficulties associated with testing (central versus site laboratories) Technical back-up from Contractors head offices. 62 IV. Related and Arising Issues - IRAQ Document Control Institution of integrated project document control. Systematic use of proper forms.